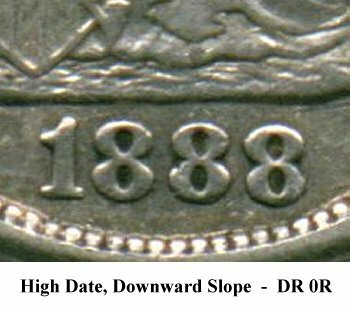 Comments: A misplaced top of an 8 digit is seen in the lower gown area directly right of the pendant. 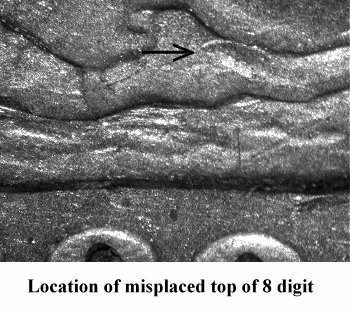 The misplaced top loop of the 8 digit is above the final 8 digit in the date. 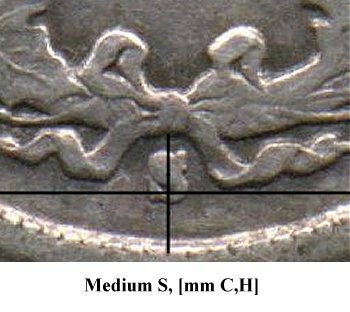 Obverse 4 is paired with Reverse E. The Medium S mintmark on Reverse E is repunched south. 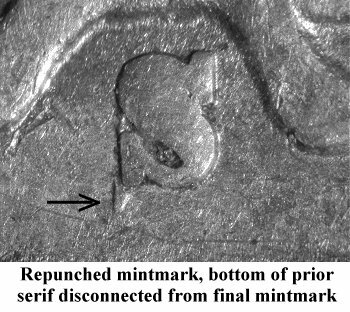 The top of the mintmark is filled, therefore the repunching is mainly visible under the serif of the final mintmark. 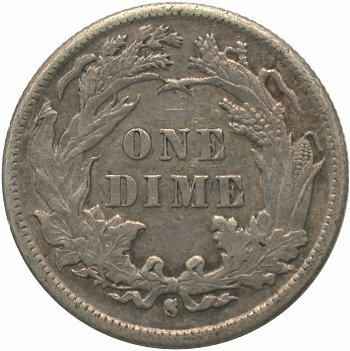 An extra piece of a serif can be seen as a disconnected shape under the final mintmark on early die state examples. 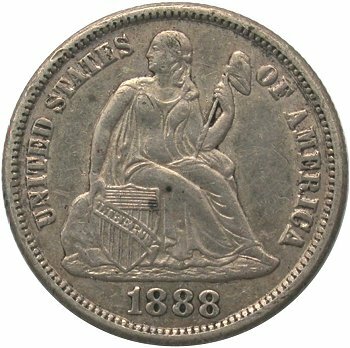 Larry Briggs first reported the misplaced digit variety in the Gobrecht Journal. This variety is listed within the Top 100 Varieties set.